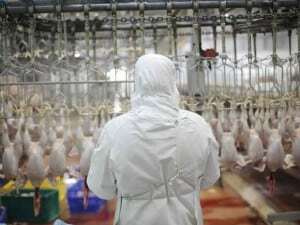 The Muslim Arbitration Tribunal is to arbitrate on the legality of a key issue regarding the Halal slaughter of animals in light of Islamic Law and FSA guidelines. At the proposed arbitration hearing, the Tribunal will enable both parties to make representations in support of their case for or against machine slaughter, with the final determination being made by the arbitration Judge. The procedure set out by MAT enables all parties involved to submit statements and evidence in support of their case three weeks prior to the hearing (5th April 2016), with final details of the hearing being forwarded to the parties a week in advance of any such hearing. In addition, both parties will have permission to engage with a representative to present their case to the Tribunal Judge. Upon hearing the evidence, the arbitration Judge shall then deliberate upon the disputed issue and inform the parties oftheir determination. In reaching their decision, the Arbitration Judge shall take into account the Laws of England and Wales as well as the recognised schools of Islamic Sacred Law. The final date of the hearing will be confirmed once all of the information has been submitted to MAT by e-mail at info@matribunal.com or via their website www.matribunal.com. A copy of the FSA Guidelines will also be available for viewing on MAT’s website.